2014 markes the 15th anniversary of the first Rogue Cthulhu adventures to be played at a convention! The seeds of the revolution were planted, and v1.0 of the RC website went up, after returngin form Origins back in July of 1998. Over the year that followed, the movement grew and Origins 1999 was our first show. It has been a long and glorious road, and we want to thank all of our loyal fans and dedicated associates for making it the adventure of a lifetime! 2014 is going to be a great year at Origins. Cthulhuthon is back, and will be taking over the upper floor of D-pod this year. All your favorite Cthulhu games will be there. The Rogue Cthulhu experience we call the Big Show continues to grow, evolve and expand, as does the list of fresh scenarios and new Game Masters who have joined our merry band of rebels. This year, RC will be hosting over 250 hours of Cthulhu gaming, spanning 34 different titles, most of which are brand new! And there will be plenty more available from other Cthulhuthon participants. The event schedule for all Rogue Cthulhu events for Origins 2014 has been posted to the Rogue Cthulhu website. You can view the schedule grid HERE. You can also read the event descriptions for all of this year's games and scenarios HERE. Come and celebrate our 15 year anniversary with us! What became of the darkness? 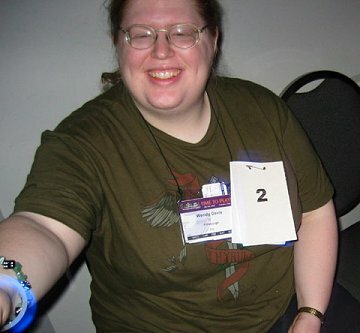 Rogue Cthulhu made its second convention appearance at a con outside of Origins at AnCon 2013. Sadly, AnCon 2013 was not the success that Con on the Cob 2012 was. In fact it was a major bust. Our room set up was largely the same as for Con on the Cob, except for the introduction of a new inflatable that we now call "Mr. Fister". Our event schedule included several new games that will also be run at Origins 2013. We scheduled a respectable 25 event slots, but sadly, only four of those games played. And those only played because our GMs helped to fill the seats. According to the AnCon facebook page, guest turnout was good (record breaking even). We really have no idea why our room was so empty, but it doesn't bode well for our return. We wish we could say more about the con, but frankly not too much happened, at least not that we saw. Sorry guys. We tried. The event schedule for Origins 2013 has been posted in the Schedule tab. You can view it HERE. Origins 2013 will be the largest show in Rogue Cthulhu history! This year we are bringing 16 Game Masters to run a mind blowing 71 events, including 61 RPGs, 1 LARP, 6 tabletop board games and 2 tabletop card games. All told, Rogue is running a grand total of 268 hours of gaming excellence! Joining us for the first time this year will be Preston Becker, Cassie Collins, Randy Wingate, Bob Geis, Dave Paquette, Dave Condon, Jake McFarland and returning from an extended absence is RC's very own "Keeper X", Don Johnson- one of the original Four Horsemen of Rogue Cthulhu. Also gracing the event schedule for the very first time will be Cthulhu Fluxx, Munchkin Cthulhu, and Cultists of R'lyeh (a home brewed Cthulhu themed Settlers of Catan clone). 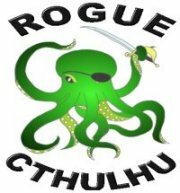 Rogue Cthulhu is the first stage of an expanding organization built by, of, and for gamers committed to providing and supporting quality role playing games at gaming conventions. It is also the beginning of a movement to raise the standard of quality in role playing events presented at conventions, and to make those conventions more responsive to the public that makes them possible.